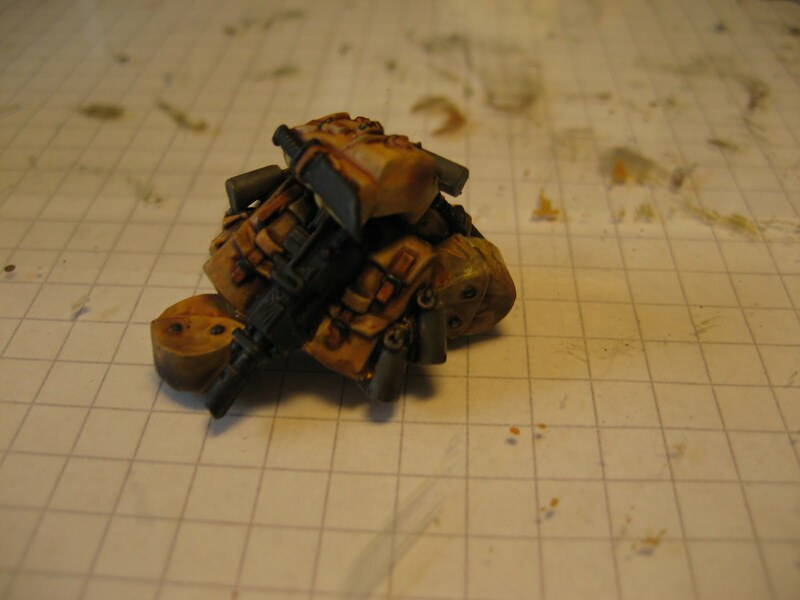 I completed the interior by building a stack of equipment (backpacks and ammunition). and then mounted it (with a temporary glue) on the inside. If I want to I can remove it again, but I think it looks good. 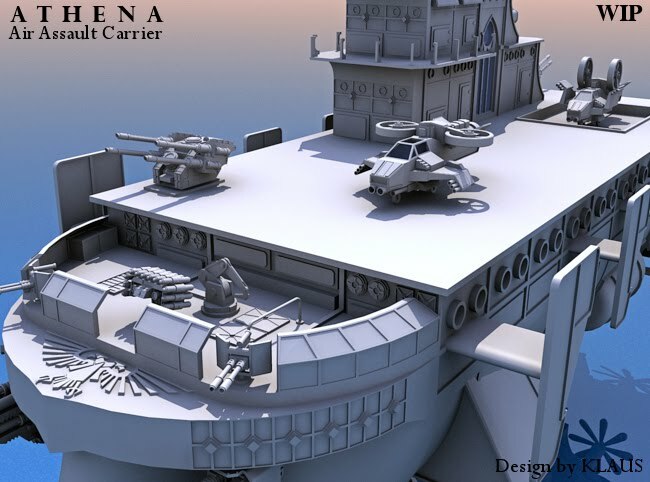 And such a deployment behind the lines would require lots of ammo and stuff, so it'll fit the scenic effect. 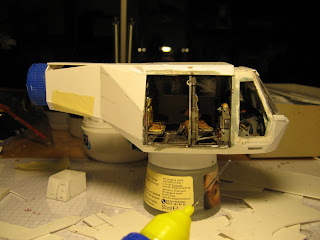 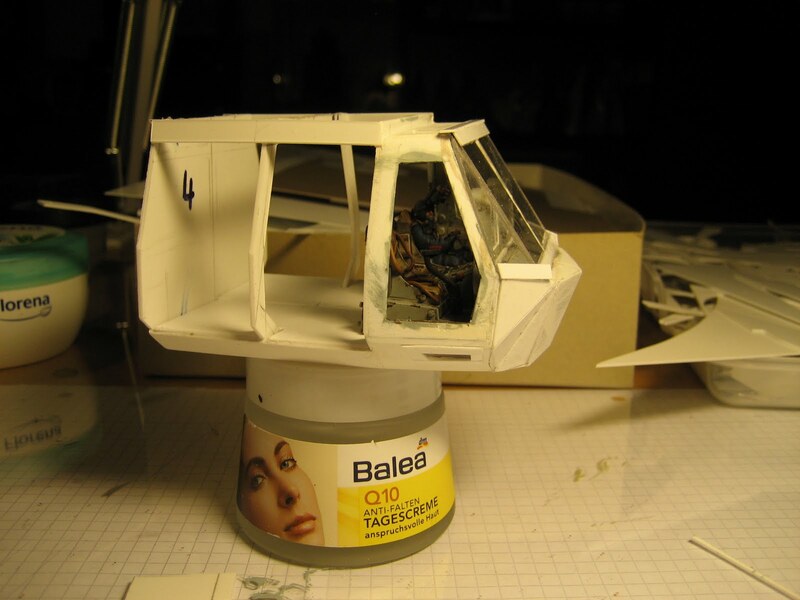 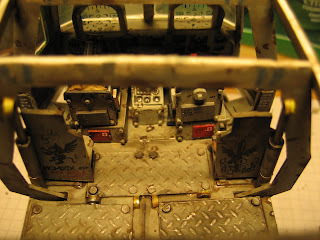 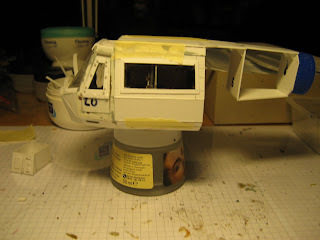 Then I started to work on the passenger doors. The will be mounted open. Then I started wo work on the rest of the body. 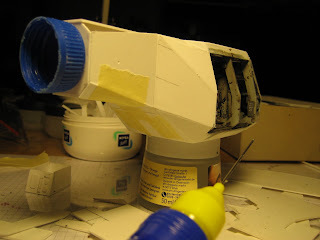 I really don't recall why I made it such a difficult shape - I really could've smacked myself last night. But despite all the shapes and angles I am satisfied with the result. 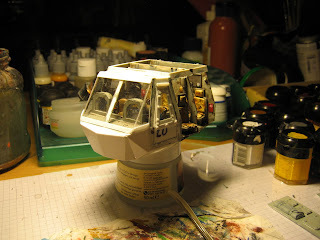 That's all for today - I hope you like the progress. 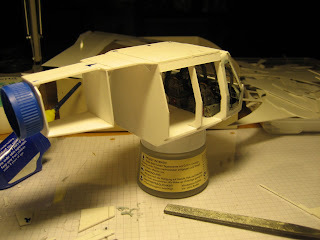 Since Darkwing asked, I'll try to show the steps on the ceiling panels. Besides the Astronomican Grey I added the other base colors for the panels and camouflage netting. 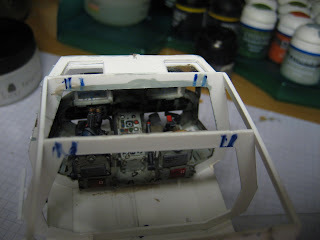 Then a fat wash of Devlan Mud - looks really ugly while wet. Once dried it looks a lot better. 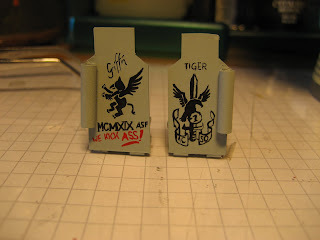 Then I applied some Badab Black on areas that I want to darken some more, or where I want to accent the outlines some more. 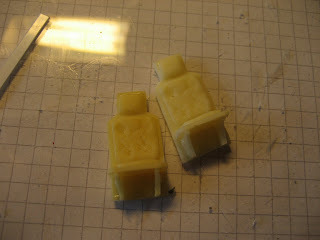 Again the difference once dried is quite visible. 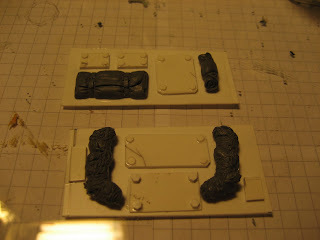 Then another coat of Devlan Mud (BTW, I use a size 5 brush for that). 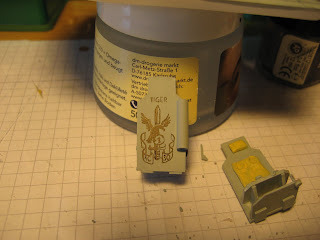 Then I applied some highlights, by using the original colors - white, Astronomican, Codex Grey. 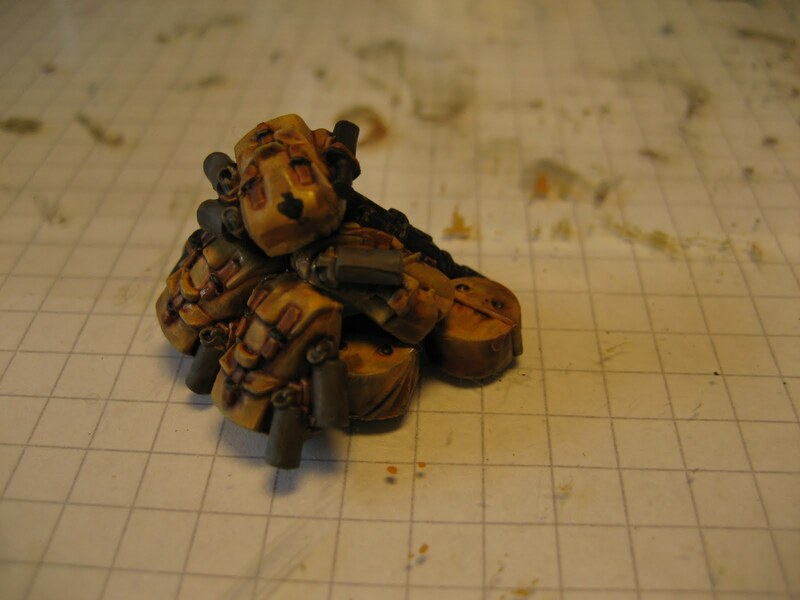 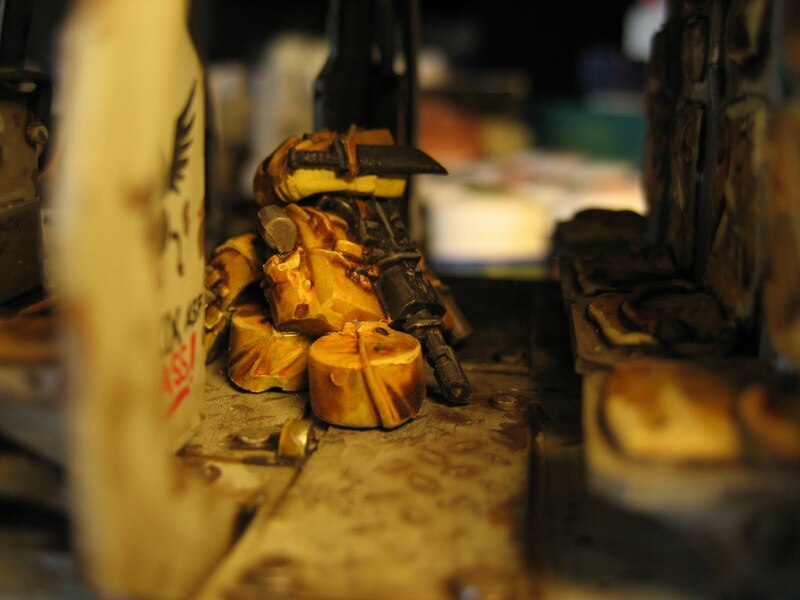 Next I used a mix of Scorched Brown and Black as rust and paint chip base. 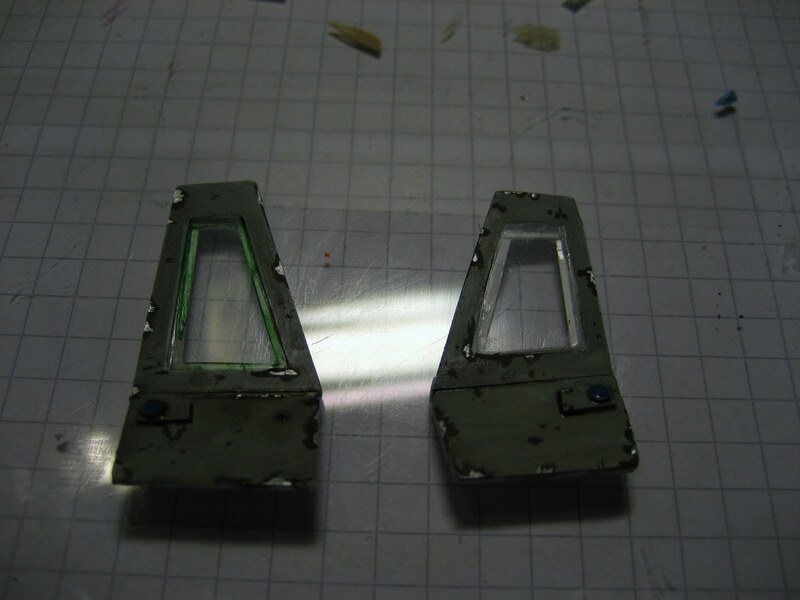 And finally Mithril for the real bare metal chips. 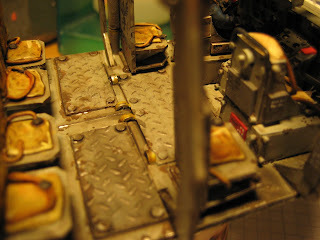 For the floorboards I then gave the diamond plates a light drybrush with Boltgun, to simulate the worn off paint by the scuffing feet. 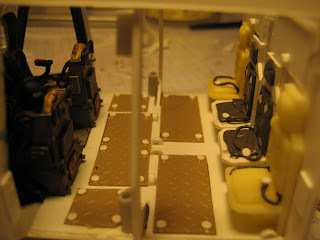 Here the ceiling pieces are mounted. 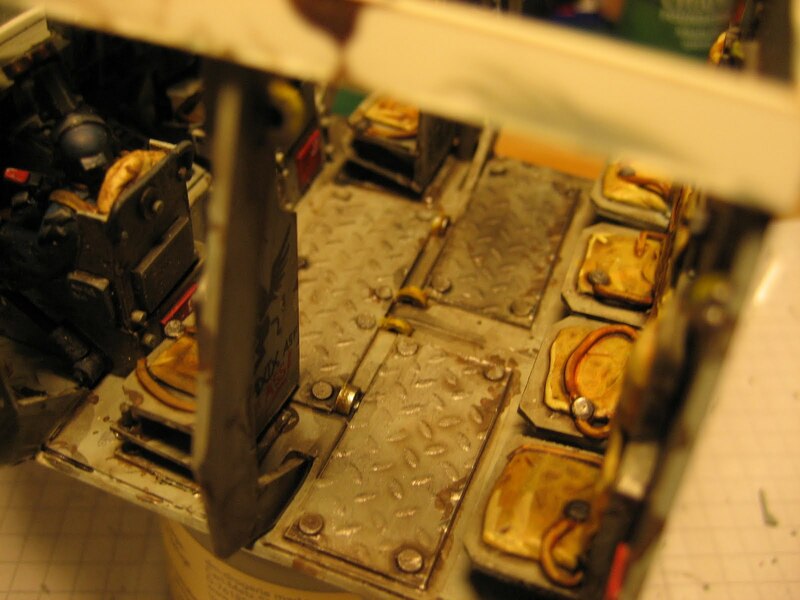 I completed the doors, by also painting and weathering the insides. 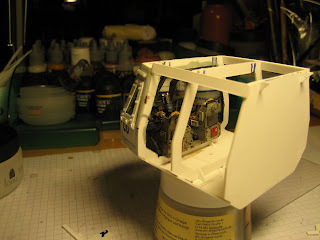 And then I mounted the cockpit interior. 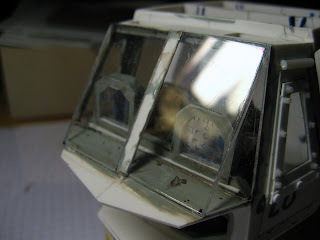 HUD and dashboard in place. Next I mounted the windshield. Still needs a frame, but looking good. 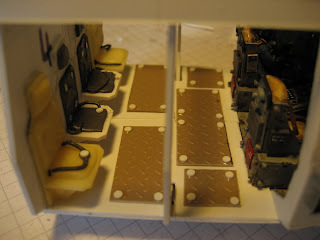 I also started to build a floorboard. 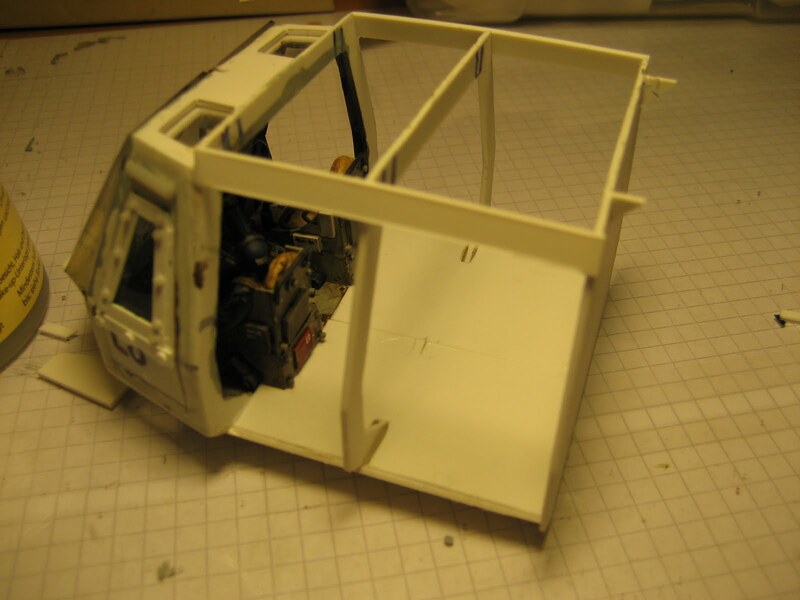 Started to build the frame for the windshield. 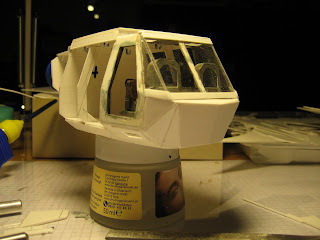 Still kind of Huey outline. 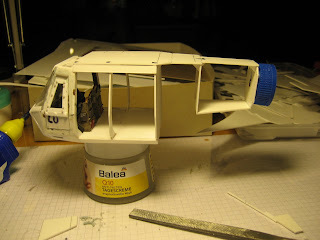 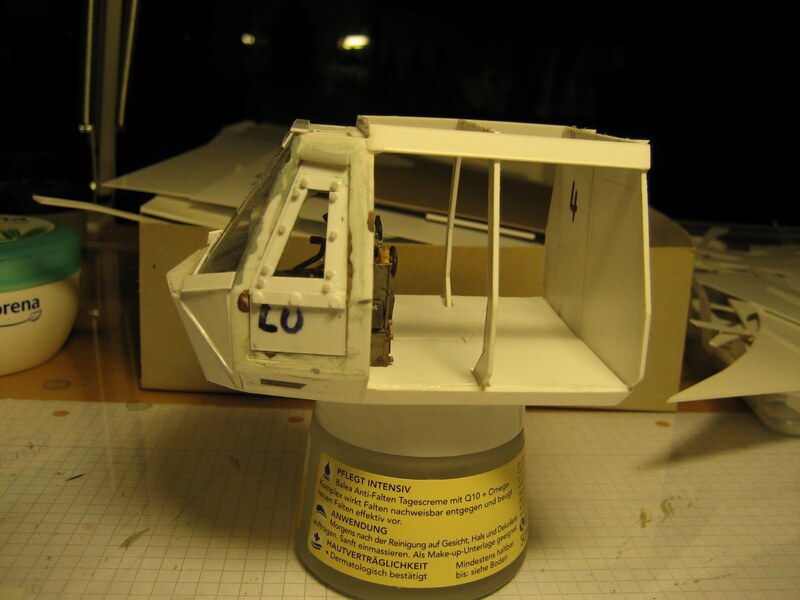 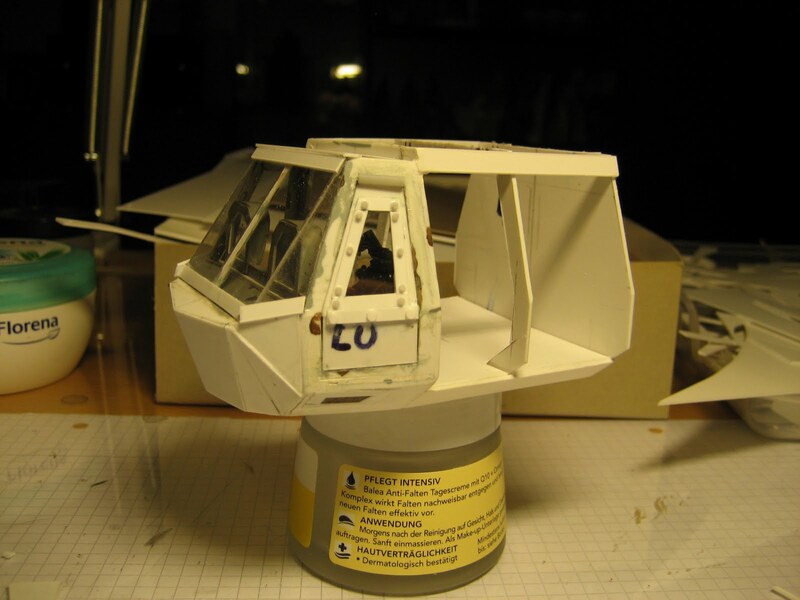 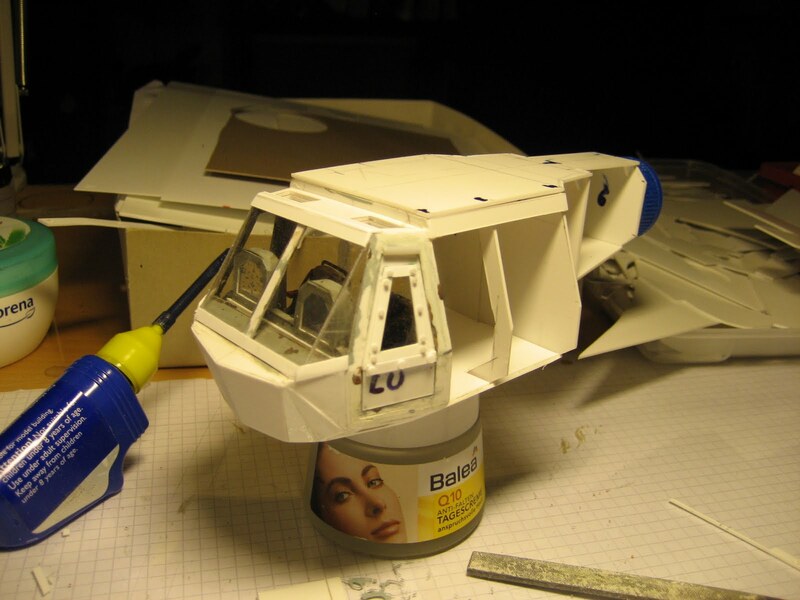 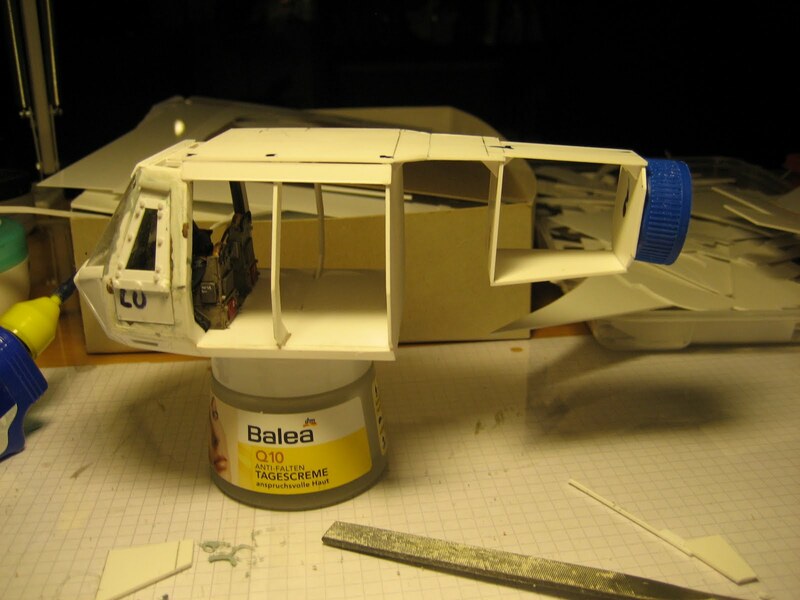 Test fitting of the roof and rear fuselage. 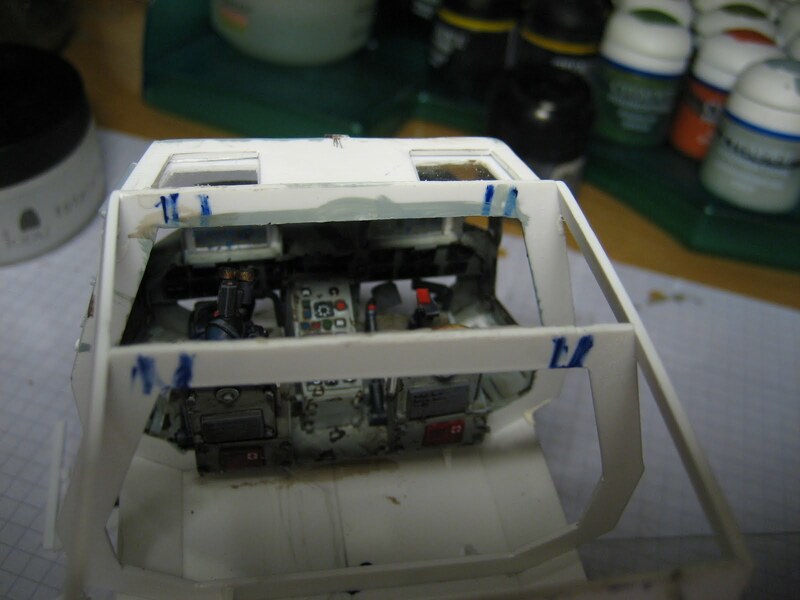 The engine housing and rotors will be on to of the roof. 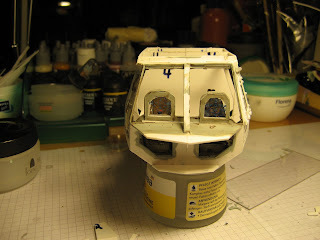 A closer look at the nose. 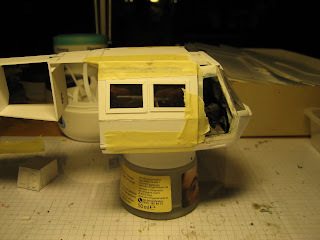 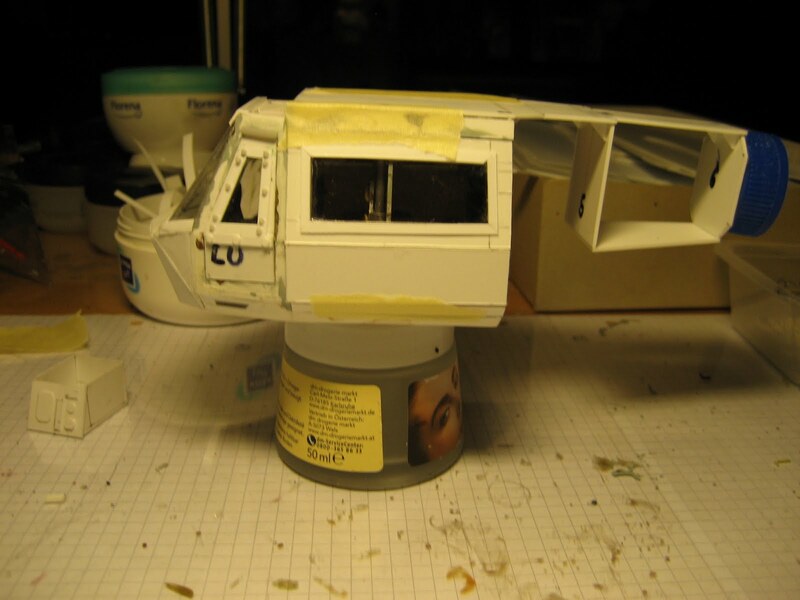 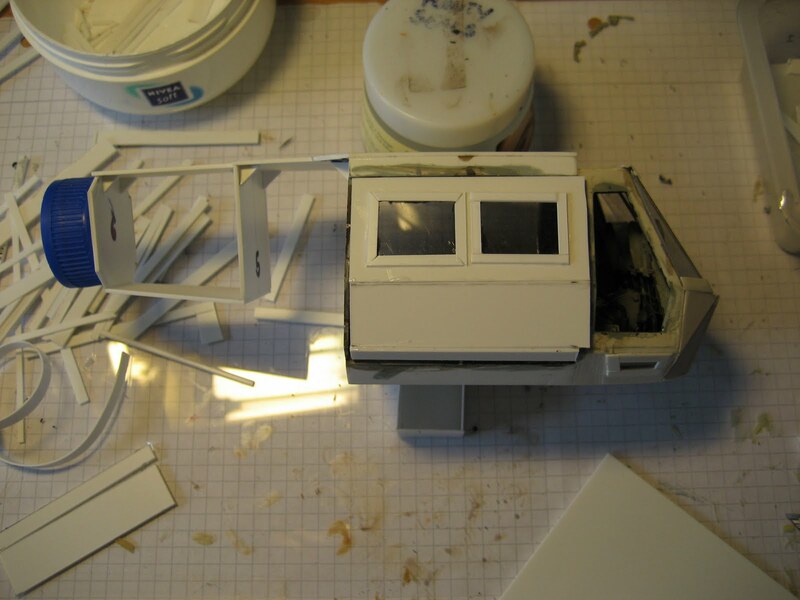 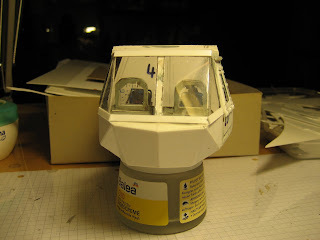 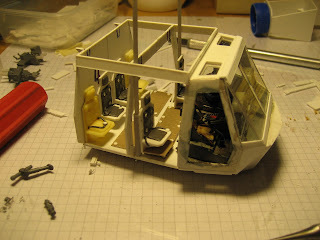 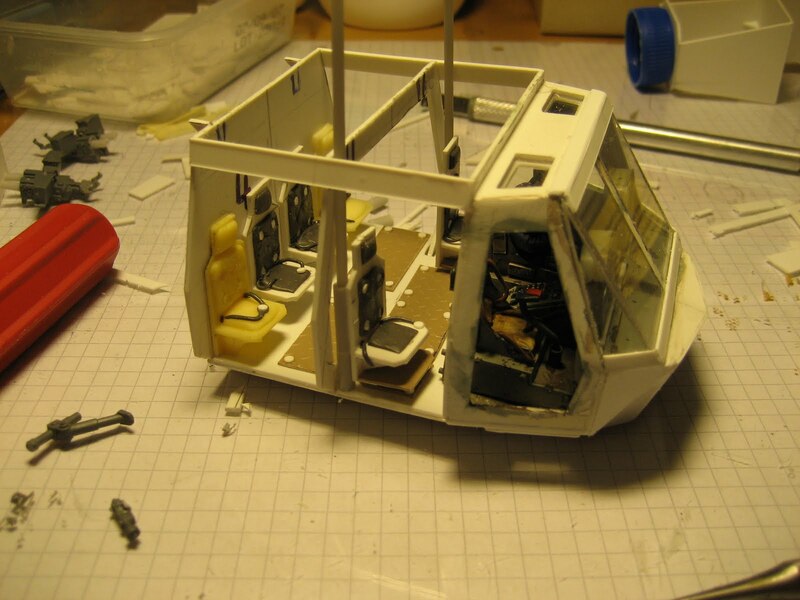 Then I began on the passenger cabin. 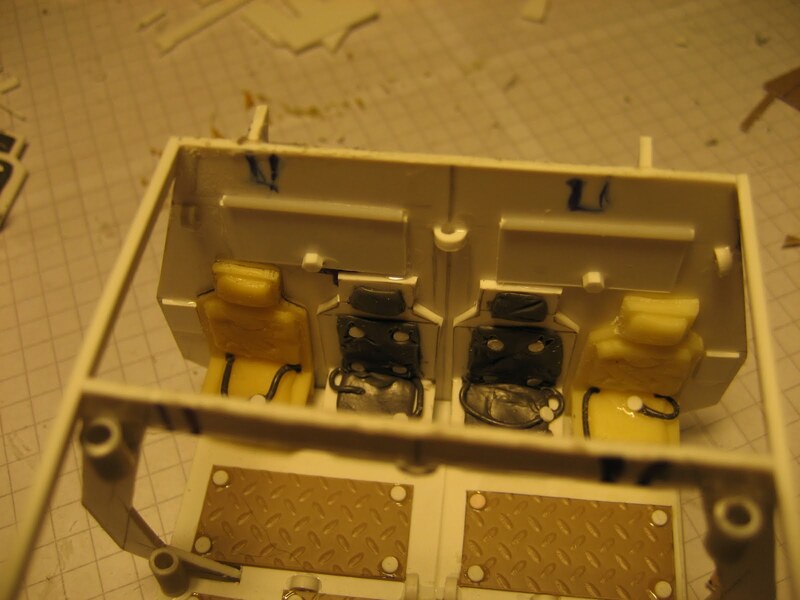 for the 6 passenger seats needed for the Tiger Team. 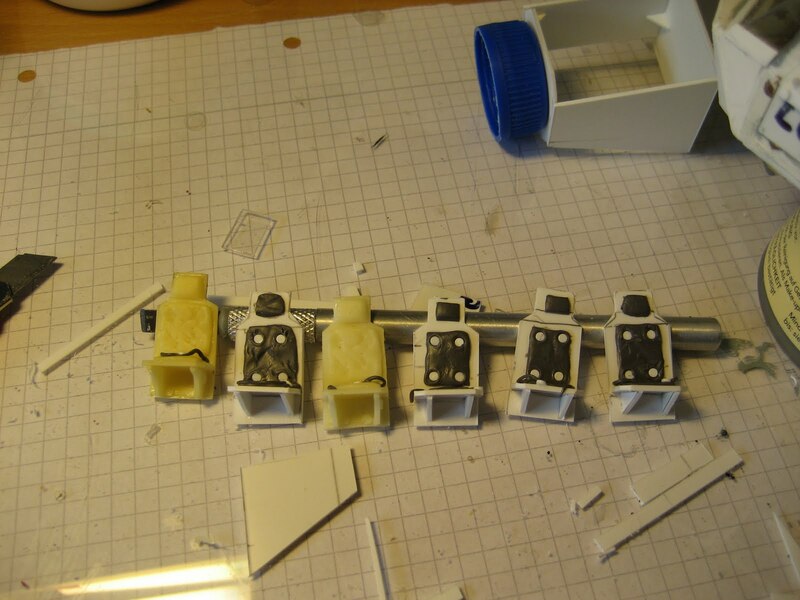 4 are mounted against the back wall. Then I added some floor details - mainly hatches. 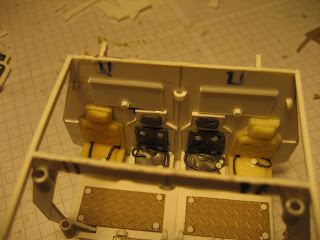 And mounted the two forward seats. They rotate outwards, so the can be used for the door guns. 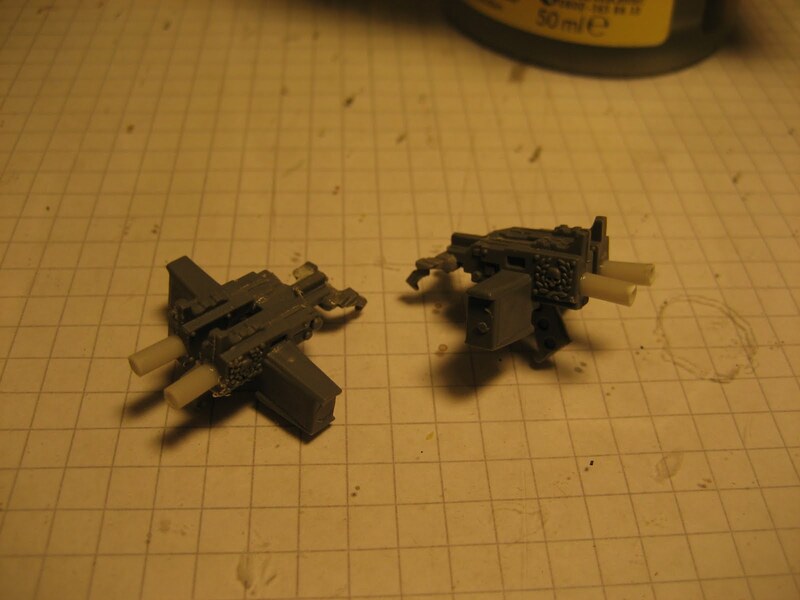 These are the bolters I want to use for the doorgunners, but I have to admit I have no real clue on what kind of mount I want to use. 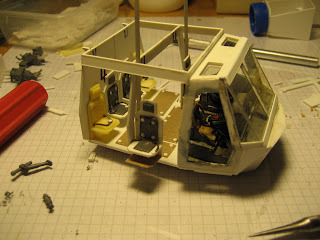 I had initially intended to have it mounted together with the gunners seats, but that looked to flimsy. Maybe if you have some ideas, you could post a link? Next was base paint. 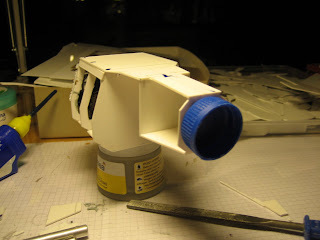 Astronomican Grey again. 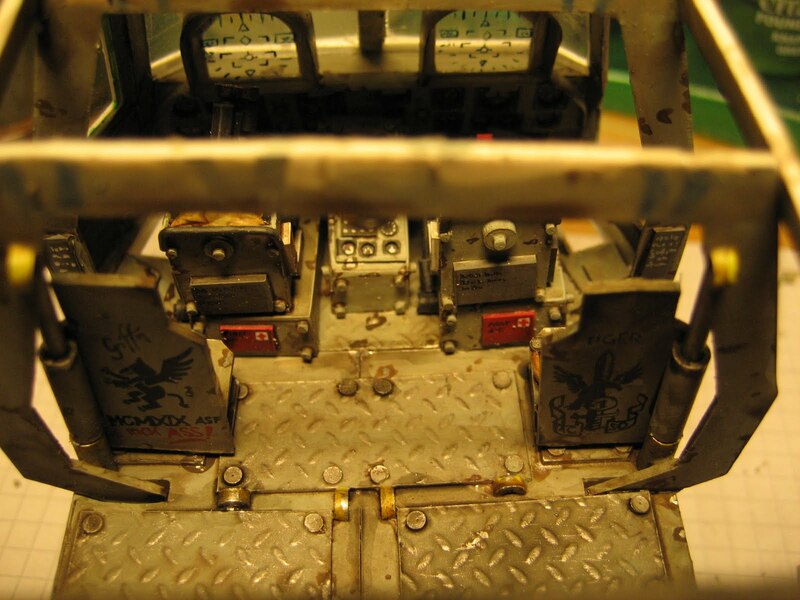 Added some logos for the gunners seats. 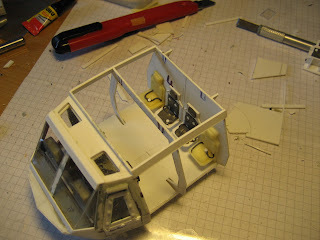 Next I build some roof panels, with emergency blankets and camouflage netting attached. 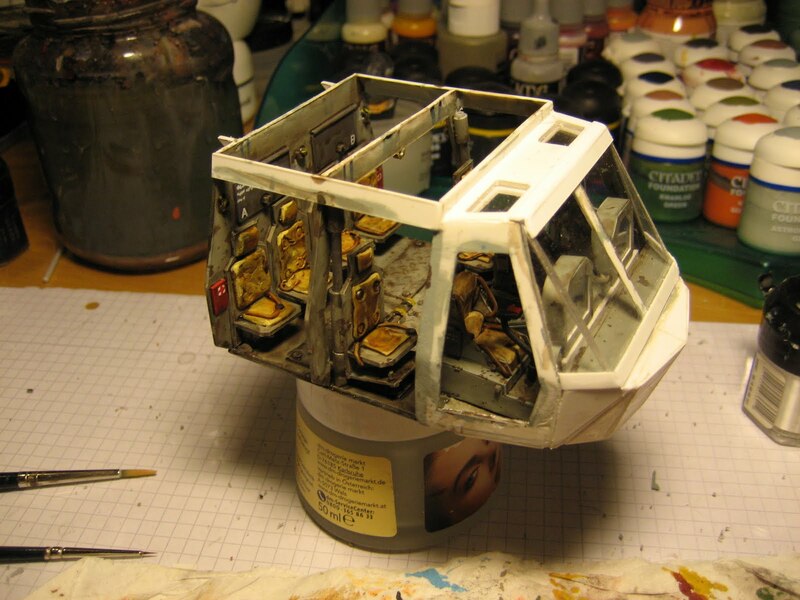 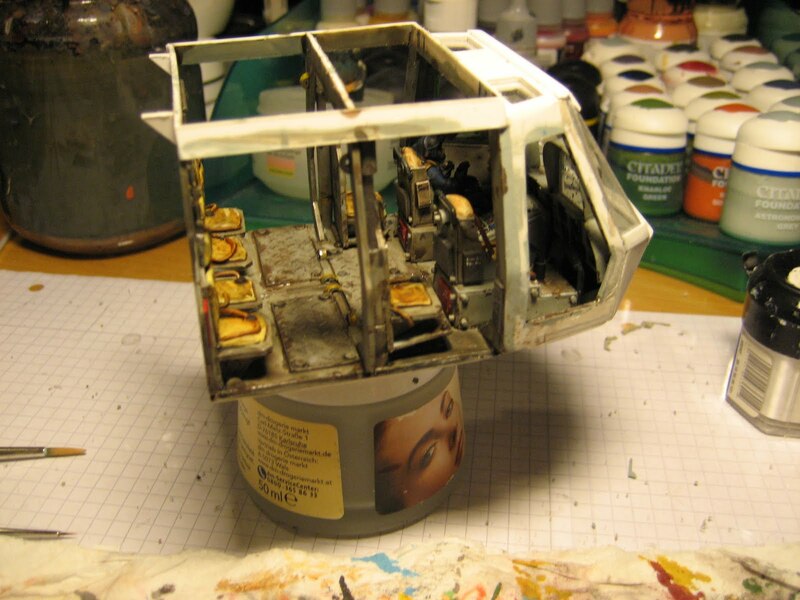 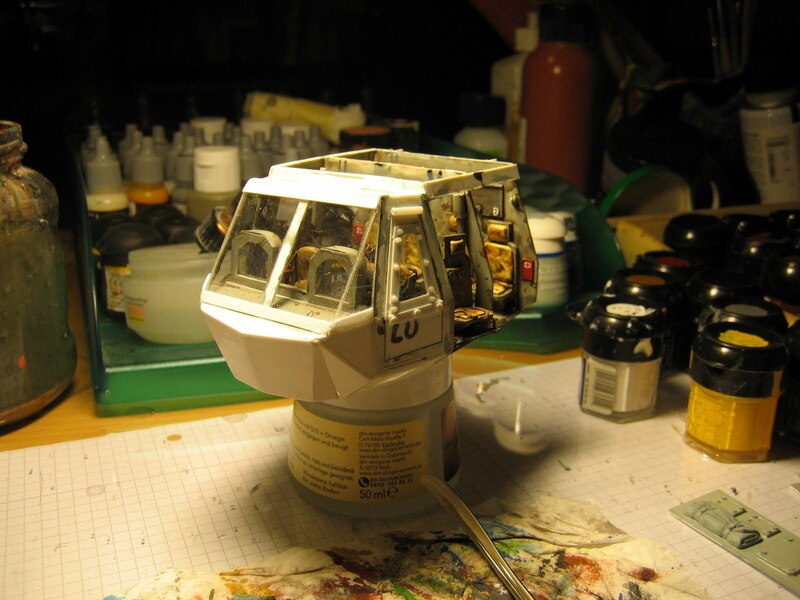 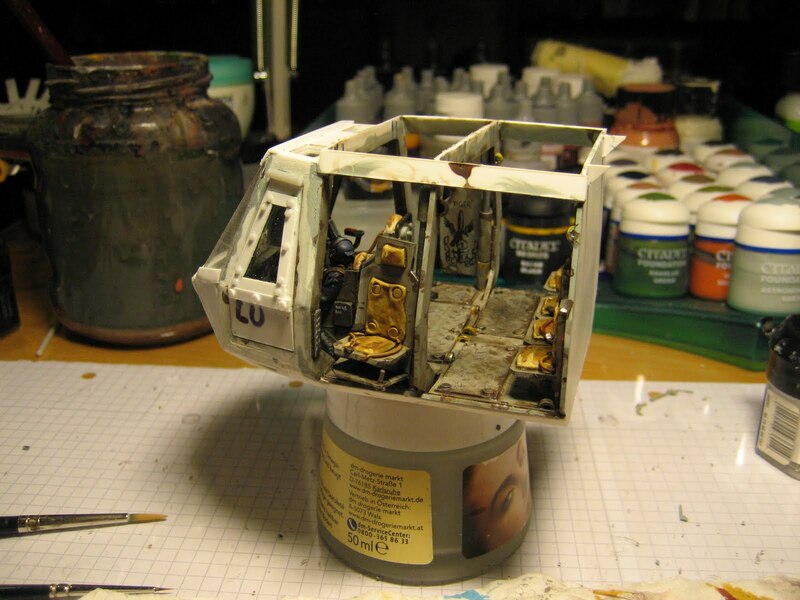 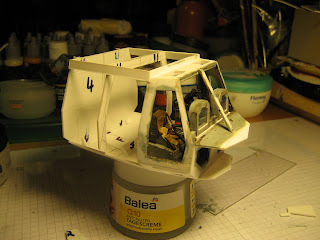 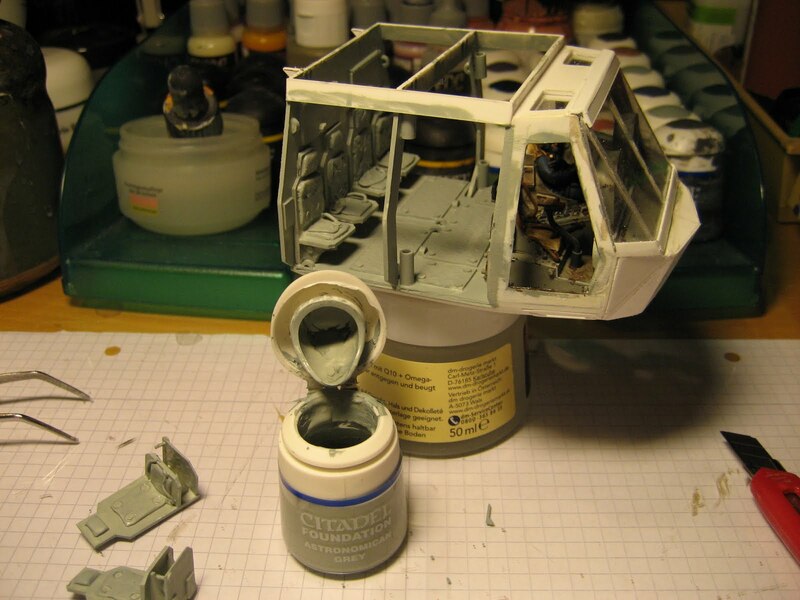 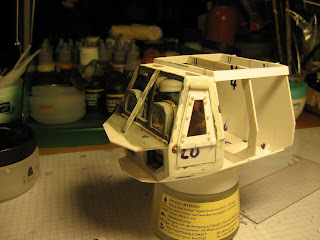 Then the interior paintjob slowly came together. 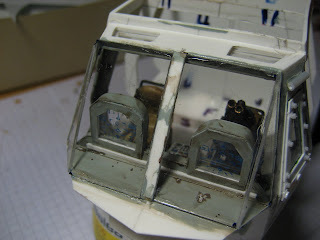 After the initial washes there's almost no difference between the cockpit and the passenger area. 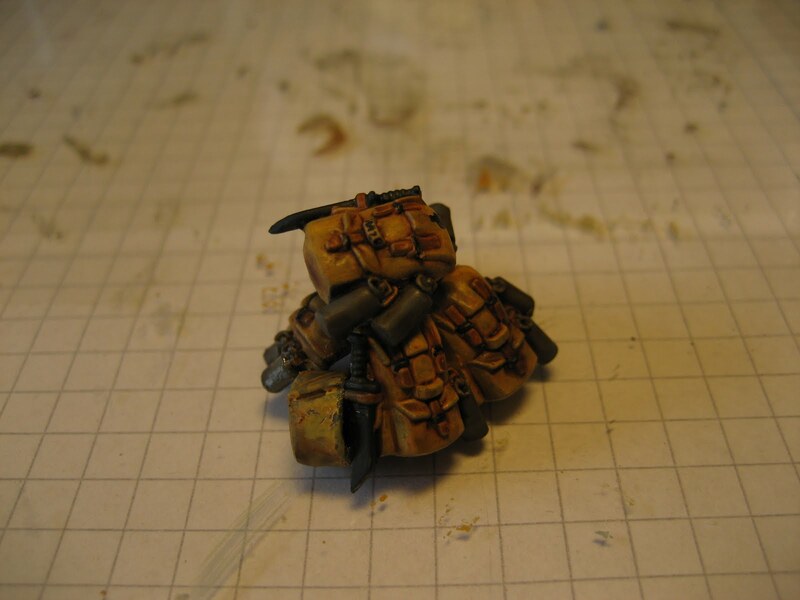 That's quite a ridden horse. 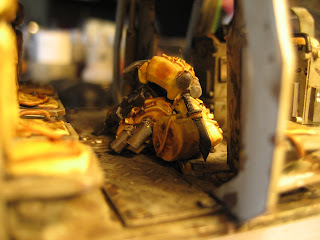 So that's it from the weekend.